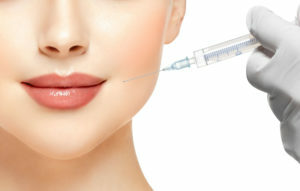 Injectables and dermal fillers can be a very effective way to combat signs of aging using minimally invasive techniques. With different products specially designed to target common problem areas—such as “smoker’s lines,” nasolabial folds, and forehead wrinkles—these treatments can address an array of aesthetic concerns with your facial appearance. Although BOTOX® Cosmetic, JUVÉDERM®, Restylane®, and other injectables can effectively provide a revitalized and rejuvenated appearance, the quality of your enhancement is largely dependent on the proficiency of your injector. As one of the most important determinations you will make when considering injectables, it is very important to research the credentials, experience, and licensure of your injector prior to treatment. Choosing a qualified injector can mean the difference between an optimal, natural-looking outcome and an increased risk of complication or unsatisfactory results. When your treatment is performed by a facial plastic surgeon, there are typically a number of advantages that may not exist with other injectors. An extensively-trained facial plastic surgeon is generally very well-versed in the complex biology of the skin and muscle tissues, allowing him or her to assess your unique facial anatomy and optimize the results according to your needs. Furthermore, they can administer your chosen injectable or dermal filler with extraordinary precision, allowing them to minimize common side effects, such as bruising and swelling. Your ideal injector should also have the acumen to know how to react in the rare case that an adverse event arises. This requires a level of anatomical knowledge that a facial plastic surgeon with an eye for facial balance can use to deliver the best possible result. For all of these reasons, I personally perform injectable treatments myself so that patients can be confident they are receiving the utmost level of expertise and care. As a fellowship-trained and double board-certified facial plastic surgeon, I have been able to refine my techniques over the years to yield beautiful and natural-looking results. For more information on our non-surgical enhancement options, or to schedule a consultation, please contact our practice today.